When Hyundai entered the Indian market way back in 1996, the competitors then were auto manufacturers like Maruti Suzuki, Hindustan Motors, PAL, Tata Motors, and Mahindra who were more into production of commercial and utility vehicles and not so much into passenger vehicles. After much struggle, many landmarks, and good market presence, and 20 years later, Hyundai is one of the largest automakers in India and is also one of the largest exporters too. After hitting this big milestone of selling vehicles in the country for 20 years, Hyundai India to mark this high point, launched two Anniversary Special Editions to add to their very popular portfolio the Hyundai Xcent and Grand i10. 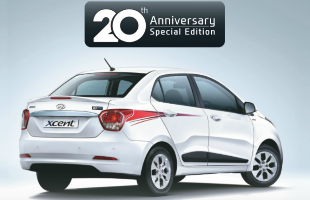 A sub-compact sedan, the Xcent gained popularity in the Indian market rapidly; soon it found itself to be part of 1, 20,000 families and more. Although there are not many changes made, the changes made are evident and stands out in terms of distinct cosmetic changes and features. This vehicle is available in both petrol and diesel versions and it is based on the “S” trim model. The price of the petrol vehicle is approximately INR 6.22 lakhs and the diesel version costs approximately INR 7.25 lakhs. Even though it is more expensive than the regular Xcent model, the special edition models are compensated by the features and cosmetic changes that it comes with. This car has four variant choices to choose from. The most evident changes are in the interior and exterior. No changes have been made mechanically or engine-wise. Some additions or changes which have been made to the exterior are re-styling of the front radiator grille in the form of new chrome garnish. The rear too gets similar changes. The chrome finishing has been given to further enhance the look of the Special Edition Xcent. Apart from the grille, the behind portion of the vehicle gets a new boot lid spoiler. The standout feature of this model is the body graphics which are present on the exterior to give the vehicle a sporty feel and look. On the boot lid, the vehicle gets a stamp of being a 20th Century Anniversary Car. There are only two body color options available for the Special Edition and they come in solid and metallic color options like pure white and metallic silver. The interiors of the vehicle is now equipped with premium quality interiors and some added features. The trimmings present are, 6.2 inch touch screen audio visual system and the seats come with black and red upholstery. Of course, the safety of the passengers is of utmost importance and hence the South Korean carmaker decided to provide driver-side airbags and ABS in all models starting from the base variant. Getting under the hood, as already mentioned, there are no changes seen in the mechanical bit of this car but as far as the engine goes, the Xcent Special Edition comes with a petrol engine which is powered by a 1.2L four cylinder Kappa Dual VTVT petrol engine which produces 83 PS of power and a torque of 113.7Nm. The diesel version on the other hand is powered by a 1.1L 3-cylinder U2 CRDi engine which produces 72PS of power and a torque of 180.4Nm. When it comes to the efficiency part, this car is quite good as the petrol version claim 19.1kmpl and the diesel stands at 24.4kmpl. It is definitely a good vehicle to own and drive around in the city. At an attempt to create more demand for the vehicle, Hyundai decided to make this a Limited Edition version where only 2400 units will be produced and retailed countrywide. Being one of the best brands in the world and in India, a company which appeals to millions worldwide, the South Korean carmaker, Hyundai has reached a huge momentous target in India. What’s not to like about this vehicle? It is stirred by the Fluidic design viewpoint of one revolutionary car, the Xcent. The Special Edition has taken it to the next level by making the design more dynamic and forward looking and at the same time the design is more polished and tasteful.  This is a sedan which is made for India in terms of style, space, comfort, safety, quality, and convenience. What more is required when you are looking to purchase a car, that too, a Limited Edition Car! Mr. Rakesh Srivastava, Sr. VP sales and marketing at HMIL, at the time of the launch of the Special Edition of the Xcent said, “It has been a momentous two decades for Hyundai in India. In a short span of time we have emerged as India's most loved automobile brand. It is our continuous effort to gauge changing customer preferences and keep introducing new technology in our products to offer high value to our customers. Xcent has emerged as India's most loved family sedan and we are confident that the Special Edition will further enhance the excitement among the customers." Another Anniversary Edition that Hyundai released is the Special Edition Grand i10. To read more about this vehicle and other automobiles log onto the portal www.indianbluebook.com to stay updated!